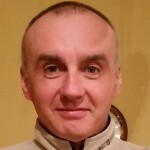 Dave Rawle I have been a Level 2 cycling coach since 2001. 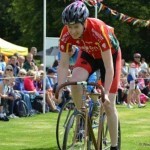 I enjoy all aspects of cycling and have been with the club for many years. First Aid and safeguard checked. Catherine Lamb I have been a Level 2 cycling coach since 2015. I enjoy road and mountain biking. First Aid and safeguard checked. Kate Bent I have been a Level 2 cycling coach since 2015. I enjoy Cyclocross, grass track and Road biking. First Aid and safeguard checked. Louise Harris I am a Level 1 coach. Nicky Pool I am a Level 1 coach. Mike Wilson I am a Level 1 coach. Jane Bainbridge I am the Safeguarding officer.